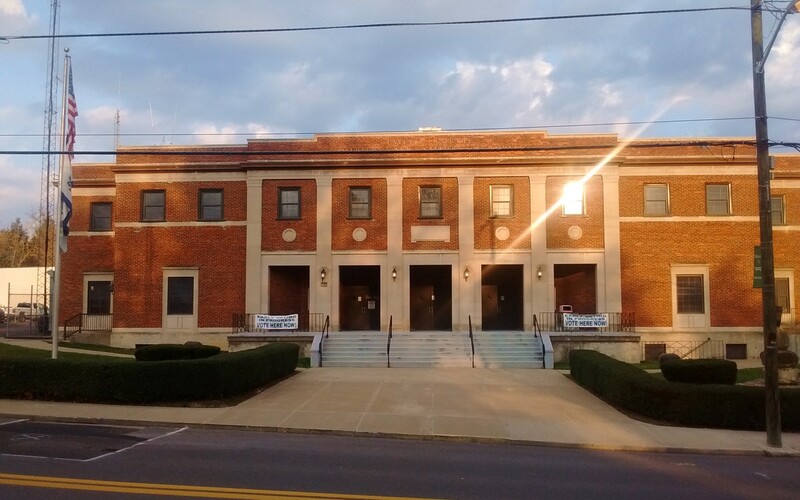 Cost of the completed building, exclusive of costs for the land, totaling about $350,000 was financed by contributions from individuals and businesses in Fayette County, in addition to a special tax levy laid by the county court following an affirmative vote by Fayette County citizens. Businesses and citizens of Fayetteville and surrounding towns subscribed the entire purchase price of $16,500 for the lot on which the memorial building stands and presented it to the county court as a site for the building. Bids for the construction of the project were received by the Fayette County Court and the memorial committee on Feb. 28, 1950, which resulted in the contract being awarded to the Hill Company of Oak Hill, as the main contractor, with heating, lighting, and plumbing contracts let separately. Construction of the building began in the spring of 1950. The Memorial Building is centrally located in Fayetteville, the county seat of Fayette County. 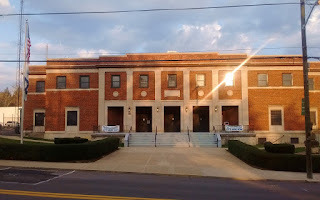 The building fronts on Maple Avenue, directly across from the home of the LaFayette Club 49, of the American Legion, and near the post office building and county courthouse.